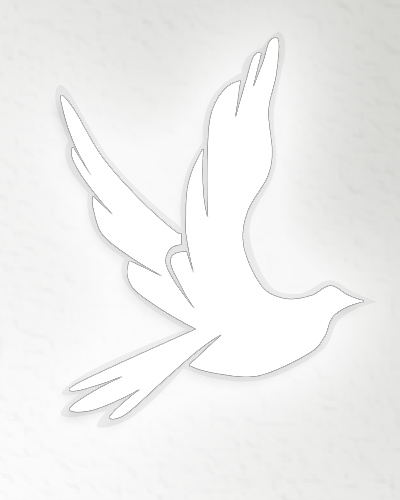 Obituary for Jean Francis Hawie | Cyril F. Mullins Funeral Home Inc.
Jean Francis Thompson Hawie went home to GOD, her husband, Richard Alvin (1986) and daughter Sarah Elizabeth (1962) on February 1, 2019. She is survived by her son Richard Cameron (R. C.) and daughter-in-law Laura Alysse Moore O’Connell Hawie. A niece Debra Louise Clanton Guerra, her husband Richard Joseph and grandnephew Joseph Clanton (Kelly) Guerra. Born on March 12, 1927, her father was Cameron Thompson (1951) originally from Cambridge, NY a Veteran of World War I, with the rank of Sergeant and served as chauffeur for General George Pershing. Her mother was Marietta Wheeler Brothwell (1984), a native of the Fairfield area. After the untimely death of Cameron, she remarried widower Francis Treadwell. Jean was a member of the Daughters of the Revolution War, in the Eunice Dennie Burr Chapter and was newsletter editor for a number of years. When the Easton Historical Society was formed, she was an early member and edited that newsletter in the forming years. Moving from Easton to Venice, FL in 1991, she joined the Scottish Caledonia Club of Sarasota, FL, where she also edited their newsletter for four years. Living in the Venice Golf and Country Club, she taught the card game of Bridge, played golf (with a hole-in-one) and was active within the community. A stroke in 2004 eventually limited her abilities and her son took over her care. Funeral services are Saturday at 11:30 a.m. at the Cyril F. Mullins Funeral Home, 399 White Plains Rd. Interment will follow in Mt. Grove Cemetery, Bridgeport. Friends may greet the family on Saturday from 10:00 a.m. until the time of service.